Have you ever wanted to ride a horse by moonlight along tracks and paths with trees casting romantic shadows? If so this ride is for you! On this ride we will guide you through and along the many paths, lanes and trees which are softly lit by the full moon. Be enchanted with our monthly Moonlight Ride. On this ride you will experience the park and it is wildlife in the eerily still of the night. Strange noises will accompany you in the park and also discover that white horses actually DO glow in the dark! This ride is a ninety minute ride and we can cater to all level of rider. If you fancy something a little different then the Moonlight Ride is one for you. Introduction to the horse and brief history given. Trees shimmy as we bush past them and the sand puffs up with each horse step, looking like dry ice in the soft light at Dubai's most expansive park! 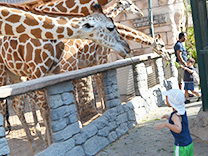 Emirates Park Zoo is built on the promise that every guest will be able to appreciate the natural world all over after a visit - taking home new discoveries, unique experiences and unforgettable memories. With a laidback and family-oriented atmosphere, the zoo is a place that inspires and encourages kids and adults alike to explore, have fun and stay connected to nature and wildlife. Explore the wide array of animal collections. With a colorful and diverse display of bird species, Bird Avenue shelters some of the world's most common birds as well as the rarest with 48 species including the Victoria Crown Pigeon. Housing a variety of species, the Reptile Road is a must-see for everyone with 31 species including the Fire Skin and Savannah Monitor. Other animals to look out for are Green Anaconda, Albino Burnese Python, Lavander Python, Puffer Fish, Sea Lion, Black headed Ibis, Souther Screamer, Brown Bear, Siberian White Tiger, Cheetah, Blue Monkey & Reticulated Giraffe. Sea Lions & Elephant Shows are inclusive in the package along with a set of the meal of the day. 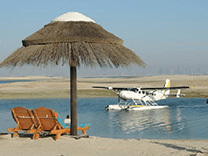 Be among the first few to visit the man made World Islands in Dubai. Spend the day frolicking at the beach of Lebanon Island. 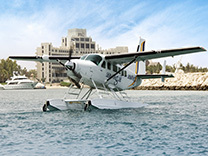 See a most remarkable skyline of the new and modern Dubai from the World Islands. The World Islands project is an artificial archipelago constructed in the shape of the world map developed into the continents located about 6 Km off the coast of the Emirates of Dubai. The Island covers a total area of 38,941 square meters in the Asian cluster of this iconic development and borders with Europe and Africa clusters. The Club encompasses an International Restaurant with Indoor/Outdoor Dining, Beach Swim areas, Swimming Pool, Day Use Chalets, Events Area and Non-Motorized Water Sports activities making it the ideal destination for tourists and holding private as well as corporate events. 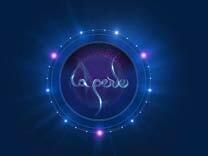 Located in the heart of Dubai at Al Habtoor City, La Perle is the region’s first resident show with its purpose built theatre. This uniquely designed theatre creates a one-of-a-kind experience for audience members as each seat guarantees a magnificent view of the show. The 1,300 seat theatre only contains 14 rows which offers an intimate experience and gets you face-to-face with the action. Experience the magic of a balloon ride while floating over desert of Dubai. 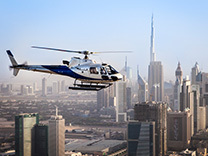 We fly throughout Dubai and our personal touch and professionals experience will make your flight a memorable event. We schedule flights once a day, every day, From Septemper to May. 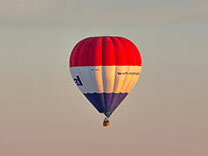 Our goal is to premium Hot Air Balloons Rides for all to enjoy. We atrive to make your Hot Air Balloons Ride over scenic Dubai a wonderful experience that you will cherish for years to come. 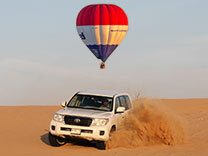 Book Air Ballooning get thriller Evening Desert Safari. 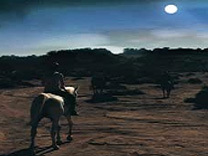 The evening desert safaris place you in direct contact with the mysterious beauty of the dusk. Dubai Safari Park is located at Al Warqa 5, Dubai (HATTA road, Opposite Dragon Mart Dubai) all set to offer authentic wildlife experience. 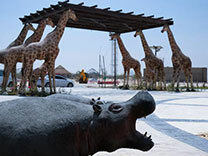 Enjoy and explore the park, there are Asian, Arab, African, Children’s Farm and the Safari Village segregations over 2,500 animals of around 250 species around 119 acres. 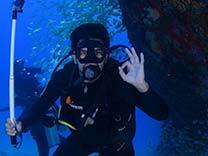 Discover Scuba diving is an adventure activity tour in Dubai. Luxuries transportation will be arranged from various designated locations in Dubai by BMW/Lexus/Benz. Before the actual experience starts, you’ll get to know an informative instruction offered by our certified professional dive instructor around 30 minute for PADI training and brief. When entering to Scuba place where the fish are bountiful and fearless, we react by wanting to do something nice for them, like feeding. You can experience the underwater fish feeding a focus on slow and deep breathings are important in scuba diving tour to optimize air consumption and bottom time. Deep breathing promotes a calm attitude moreover Scuba diving tour helps to relieve from the mental stress and experiencing one of the extreme sports. 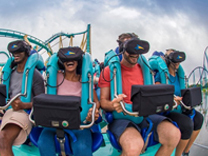 Virtual Reality Park know us VR Park Dubai, it commenced on March 2018 and located at the second-largest mall in the world - Dubai Mall, Level 2 between Reel Cinemas and KidZania. It is around 7,000 square meters. You may take part in numerous individual and multi-player involvements, collaborating games and educational journeys. List of virtual reality experience you may challenge with your friends and family through mind-blowing skills that span horror, adventure, leisure, sport and more, with individual and multi-player experiences for all ages.